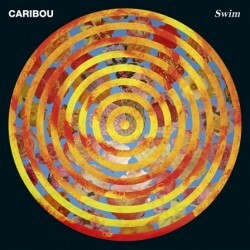 Swim is the record Caribou mastermind Dan Snaith has wanted to bring to fruition for as long as he has been making music. A mathematics scholar and an ingenious multi-instrumentalist/composer, he surprised critics and fans with 2007’s Andorra, a brilliant, electro-tinged pop breakthrough with a timeless grace that made most year-end ‘Best of’ lists and won Canada’s prestigious Polaris Music Prize. After the startling infectiousness of Andorra, Swim is a more complex, multi-layered affair – rife with fascinating rhythms, instrumentation, and vocals (including those of Born Ruffians’ Luke Lalonde, who appears on ‘Jamelia’) – that becomes more alluring with each listen. Album of the week, in rotation on the dirtyradio playlist from 26th July 2010.